Health Insurance can be a tricky though important financial choice for any of us. Whether you’re getting ready to be a parent or taking care of your elderly, having health insurance will provide you with some peace of mind while handling critical medical situations. When you are looking for a group health insurance or for an individual health plan, finding the best plan that suits you is a tedious process. The legal language or what is called as the Policy Wording often makes the process of choosing the right insurance harder. With increasing healthcare costs, it becomes important to get health protection as early as possible. This is because, with age, health issues like BP or diabetes may occur and reduce your chances of getting a cheaper and comprehensive health cover. Choose your personal health insurance: While most employers offer health insurance or mediclaim as a part of their pay package, it is important to have a personal health insurance cover as well. This becomes even more important if you are suffering from any chronic disease, as it is possible that your corporate cover will cease once you leave your job or retire, or the company may decide to withdraw this benefit, or choose to leave other family members out of the coverage. Choose the right amount as ‘sum insured’ – A person living in a metro city may require a higher sum (maybe around Rs.5-10 lakhs assured) in comparison to a person who lives in a village (who may only need around Rs.3-5 lakhs) since hospitalization costs are higher in the metros. While buying an Insurance Plan, the first thing that needs to be decided is the Sum Insured, i.e. how much the company would cover for you. Don’t buy a new plan; instead, port your plan. With porting, your benefits which have already been accumulated in the old plan get transferred to the new plan. Just as one accounts for inflation when saving over a period of time, you may want to increase your cover to account for inflation in medical costs. It is important to go for a sum insured that would cover all your family members. Start early protection – It is important to understand the impact of the maximum permissible age limits offered by the health insurance company. You should check if the health insurance that you are buying discloses the premium to be charged in future. It is recommended that you purchase a health cover by the time that you are in your early thirties, to enjoy a few good years of no-claims bonus – as medical and health expenses generally crop up after a certain age. Purchasing insurance when you are older or are suffering from some condition will definitely be more expensive. So it is better to check with your insurance provider about the entry age limits. Lifetime Renewability- Renewal Option is one of the important things to check, and it basically means the age till when you can renew your health insurance. There are companies which limit it to 70 years whereas few provide cover up to 90 years. Prefer to purchase a health cover that gives you a lifetime renewability option. Your aim is to have a health cover at older ages when you will have ailments, and that protection is possible only if your policy offers lifetime renewability. Consider this important factor if you are planning to cover your elderly parents in your policy. Beware of co-payment clauses: Co-payment mandates that the policyholder will bear a pre-defined percentage of the claim amount and the rest will be settled by the insurance company – a general clause in most group health insurance policies (your employer provided policy). For example, if there is 10 % co-payment in a single policy, the insurance company will pay only 90 % of the covered expenses and the insured individual will have to bear the remaining 10% of the bill. While you may find this insurance plan to be cheap, it may not offer you complete coverage if it comes with a co-payment clause. Super top-up choices: Many insurance companies offer a no-claim bonus/discount, in case the policyholder has not lodged any claim. In such a case, either the sum insured increases or the premium decreases or both. Look for a policy with an option to top-up. This essentially means that you have an extra buffer in the event that your sum assured cannot cover the expenses of your illness. Choose a reputed broker – Plenty of brokers are available online to select a plan or study the features, but you must buy the health cover only through an entity which according to you has the ability to help you with the claim. Remember, if you are having a heart attack or have an accident, you won’t be in a position to do it yourself or fight the insurer if your claim is rejected without proper justification. Be truthful – Never lie and hide information in your application form. For example, if you are diabetic, and do not mention that on your application form – in the event that you claim a medical expense due to diabetes – the expense might get rejected at the due diligence stage, and your actual policy may be in trouble due to the fact that you provided incorrect information. Get the broker to help you get a plan which will cover the ailments, even if you have to undergo the waiting period. If you do have any pre-existing condition, look for a policy with the shortest wait period. Waiting Period – Most health insurance companies cover pre-existing diseases only after a certain waiting period. The Waiting period generally extends from 2 to 5 years, varying from company to company. It is always advisable to opt for a company that offers minimum waiting period. Please note that a pre-existing disease is not only the disease you are suffering from at the time of purchasing the policy. Any illness caused due to a pre-existing health condition is also considered to be the same. It is also important to check the list of permanent exclusions in the policy. For example, if the insured individual has diabetes at the time of buying the policy, a kidney failure may also be excluded in case it is caused due to diabetes. Thus it is important to pay attention to these factors and then come to a final decision. Buy a plan with no or minimal sub limit – Sub-limits are clauses that your insurer specifies related to the limit for an expense and anything above that needs to be paid by the claimant. Insurance companies introduced the idea of co-payment and sub-limits to prevent expensive hospital-room rents. In co-payment, as mentioned above, an individual has to bear the expenses incurred regardless of the amount covered. It is always a better idea to choose a policy with less sub limits. There are various general insurance companies that do not have any maximum limit on room rent, so it is always a better option to look for such health insurance plans. 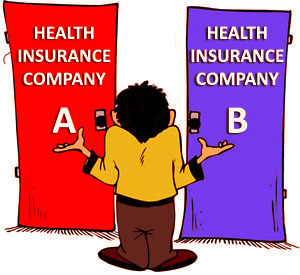 Ideally, look for health insurance plans that do not have any co-payment and sub-limits. Day-care procedures – Consider if your insurance plan covers maximum number of day-care procedures. Typically, day-care procedures or out-patient procedures are not covered in many health insurance plans. Pre/Post Hospitalization – Follow-up visits to the doctor, medicines to be taken or follow-up investigations to be done, fall under the category of post-hospitalization expenses. Expenses that are due to the ailment that the person has been hospitalized for are considered only for Pre-and-Post hospitalization. There is a waiting period after you have purchased the policy, and only after this period has lapsed can one can claim the maternity expenses. Always consider the sub-limit clauses. Look for a policy that covers any maternity related out-patient procedures as well. Check for any specific exclusion/s related to the cover. Free medical checkup – Look for a health insurance policy that entitles policyholders to a free medical check-up. Availing of the free check-ups does not impact your premium amount or the no-claim bonus at the time of renewal. Cashless Mediclaim and Network Hospitals – There are several health insurers in India who provide cashless Mediclaim for you. Before buying a health insurance, it is important to check the list of network hospitals that are offered by the insurer. Cashless facility is a major factor as it helps in managing payments and reimbursements. The insurance company will directly pay the amount to the hospital, provided all conditions laid by the insurance company are properly met. Policy Coverage – Read the information brochure carefully to understand all your policy terms and conditions. Choose the sum assured carefully because this is the amount that you can claim in a year. Look for a policy that will cover all the age groups, such as 91-day infants to 65-year-old parents. Most preferred plans offer day-care procedures, pre-hospitalization and post-hospitalization expenses, accident coverage, and pre-existing diseases covered after a certain waiting period. No Claim or Cumulative Bonuses – Choose the right premium payment based on a claim-free year, so that the insurance company also provides you with a no-claim bonus. This increases your sum assured in the next policy renewal year. Such a bonus can range from 5 to 10% for the years you have not made claims. Hence, you should look for a policy which provides you the highest no-claim bonus. On the other hand, if any claim is admitted during a particular year, then the sum insured would reduce with the same proportion. In simple terms, you benefit with reduced premium in case there is no claim during a year or you need to pay increased premium for subsequent year in case of any claim. Hence, it is necessary to clarify no-claim or cumulative terms before finalizing a health cover. 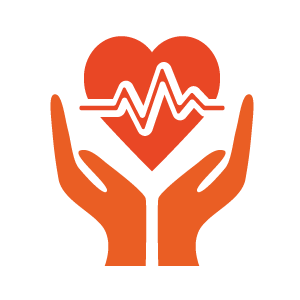 Critical Illness Cover – Certain diseases such as HIV/AIDS, Genetic and Mental Disorders or Suicide or Drug abuse may be specifically excluded from the cover. There are certain policies which cover only critical illness such as cancer or brain tumor after a certain waiting period (90 days). Add-ons do help in the case of critical illnesses but you may need to consider the increased premium versus the benefit. Claim Settlement – Claim settlement time and claim settlement ratio should be one of the most important factors that must be considered. A good insurance provider is one with short claim settlement times and high claim settlement ratios. It is always a wise decision to check the process of settling your claims i.e., whether there will be an involvement of a Third Party Administrator (known as TPA) or if it will be done directly by the insurance company. Usually, in case it is done directly by an insurance company, there is a high possibility of getting the whole claimed amount reimbursed. TPAs are incentivized to deduct the hospitalization bill and thus they try to reduce the claim amount as much as possible. Hence it is important to know the involvement of TPA and its claim settlement history.